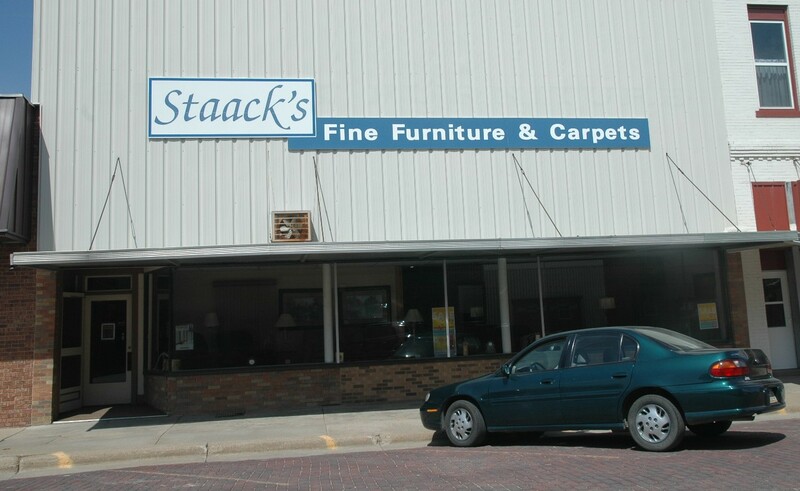 Staack Furniture & Carpets, Inc.
Staack Furniture was founded in 1952 and the building has been a furniture store since the late 1800’s. Don Halbasch has been at your service since 1973. Furniture: sofas, recliners, lift chairs, gliders, curios, end tables, etc. Window Treatments: Hunter Douglas, K&L Draperies. WE ARE LARGE ENOUGH TO ACCOMMODATE YOU & SMALL ENOUGH TO APPRECIATE YOU! !